Sediments Literary-Arts Journal: Happy Holidays! The holidays are a magical time of year, but the true magic is in their stories. This holiday season, we’d like to add just a few more magical stories to your Christmas literary canon. The works collected in this special issue all share the spirits of the holidays—love, hope, and charity, to name a few. ’Tis the season of giving, so here’s our gift to you. We wish you the merriest of holidays, and we pray that your New Year is full of new life, new opportunities, and lots more MAGIC! 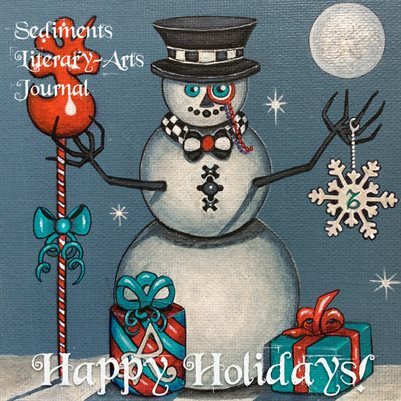 Themed Issue: Sediments Literary-Arts Journal: Happy Holidays!